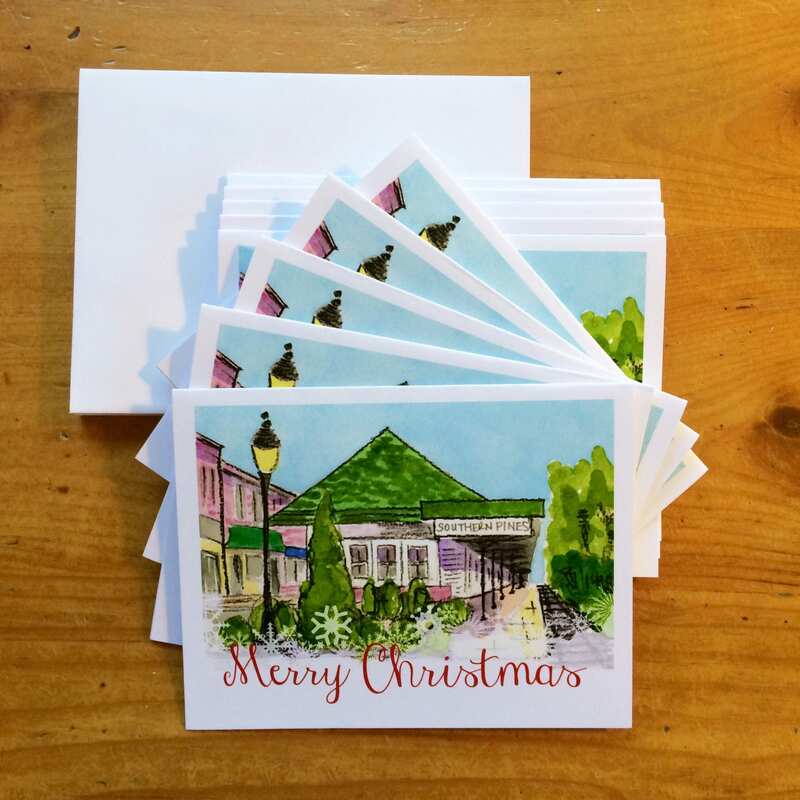 Christmas Cards - Train Station, Southern Pines, NC. Box contains 10 Christmas cards of the image shown. Cards are blank inside and come with 10 matching white envelopes. Cards are 4.25 x 5.5 inches.